The HLA-A2.1 model was generated by Pharmexa-Epimmune. The model was created by microinjecting a chimeric transgene combining a fragment of the genomic clone of the human HLA-A*0201 gene that included leader sequence, α1 and α2 domains ligated to a fragment of the murine H2-Kb gene containing the α3, transmembrane and cytoplasmic domains. This transgene was microinjected into C57BL/6J zygotes. 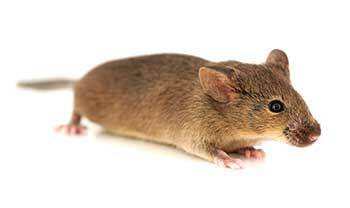 The resultant mice from Founder Line A*0201 were on an inbred C57BL/6J background. Taconic received stock from Pharmexa-Epimmune in 2008. The line was embryo transfer derived, and the colony is maintained through breeding of homozygous males and females. In the production colony, wild type BALB/cAnNTac females are bred to homozygous males on the C57BL/6J background to produce CB6F1 pups. Vitiello A, Marchesini D, Furze J, Sherman LA, Chesnut RW. (1991) Analysis of the HLA-restricted influenza-specific cytotoxic T lymphocyte response in transgenic mice carrying a chimeric human-mouse class I major histocompatibility complex. J Exp Med 173(4):1007-15. * This reference describes the transgene incorporated into line 9659. Pharmexa-Epimmune remade the line later directly onto B6/J zygotes. This is the mouse line that Taconic offers as Model # 9659. The Models will not be bred or cross-bred except to obtain embryos or fetuses required for research purposes. This model may be eligible for a cross-breeding agreement. Please contact Taconic Customer Service for details. A decaepitope polypeptide primes for multiple CD8+ IFN-gamma and Th lymphocyte responses: evaluation of multiepitope polypeptides as a mode for vaccine delivery. HLA-A2-restricted protection against lethal lymphocytic choriomeningitis.